I’m happily married to the most incredible man on the planet named Chris. 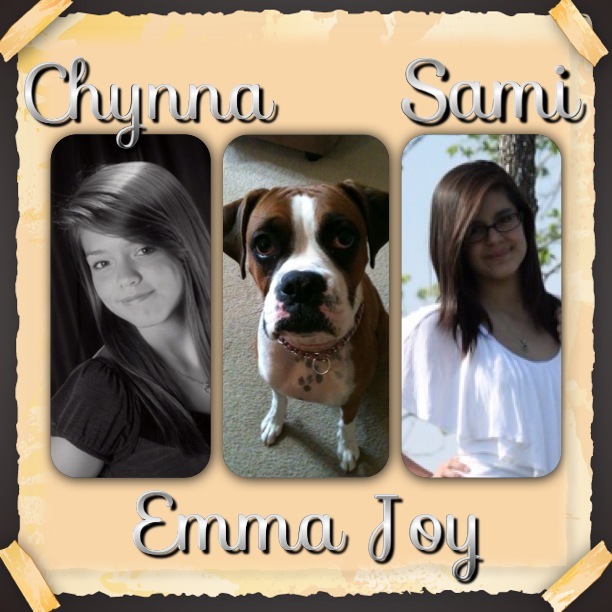 We have two beautiful and amazing daughters named Chynna (25) and Samantha (21). We are proudly owned by two frisky kitties named Cheez-It and Mia. I have always loved animals, big and small, furry and scales. I knew that when I grew up, I would have a house full of animals. We may not have that house full of animals, but I have the joy of being able to play with a lot of sweet animals everyday! In 1998 my husband and I moved to Dallas (Allen) from Fort Worth (HEB) with our daughters. I was a stay at home mom, and being at home with our daughters was important to me. We had a sweet Boxer named Niko Shae, and she had the most gentle and loving heart, so we looked into becoming a foster home with a local Boxer Rescue. Our home was always full of fosters, and seeing how much joy that brought to our lives was worth it. In March 2000 I started to pet sit for my neighbors and friends and knew this was something I wanted to do. I knew I had found my passion. Once our daughters were in school full time, I knew that I could pursue in becoming a full-time Pet Sitter. By November 2004 I had a big enough clientele that I could do this full time! I loved the independence of being my ‘own boss’, I loved being able to go visit different animals all day long, and still have time for my family. Unfortunately in November 2009 we lost our sweet boxer Niko Shae. Tho she will always be a part of our lives, I think she really enjoyed all the smells I brought home for her to enjoy. In 2011 I decided to take the leap and debut my own pet sitting business by putting a name to my passion! I have really enjoyed getting the business part off the ground, and I have had so much support from my family, friends, and those long life clients! Unfortunately in December 2017 we lost our sweet boxer Emma Joy. Her love and understanding kept me doing what I do still today. Today 2018, I have around 200 active clients, tho not all are active all year round. I can tell you when one calls, I know who they are, and who their pets are. I love walking into a home, and being greeted by a tail wagging pet. I am excited to sit on the floor and rub tummies, or go outside and toss a ball. Taking long walks, or snuggling on the couch until they fall asleep. I love getting a call from a client about any good news, and I am devastated when I get a call with sad news. After so many years, you do become a part of their family. I even get showered with gifts! Tho some days get the better of me, and I miss spending time with my family because I work unusual hours. I truly love my “JOB” and I absolutely love being with each of my clients pets. I know that I have a close, understanding, and supportive family, that allow me to do what I love doing everyday (I get to wear flip flops!). I have now after many years of being solo, have added a few sitters to help during the busy months. I am fluent in dog, cat, small critter and fish languages, so yes, I will talk to your pets, and they do talk back to me. I LOVE taking pictures of your pets, and I can’t wait to share them with you!